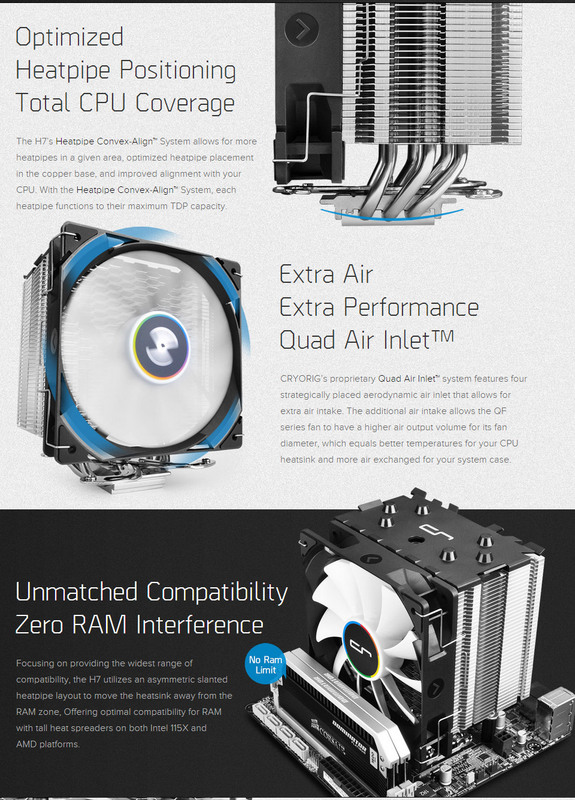 The Cryorig H7 has compact compatibility written in its design. At only 145mm in height the H7 is one of the smallest 120mm fan class tower heatsinks on the market. 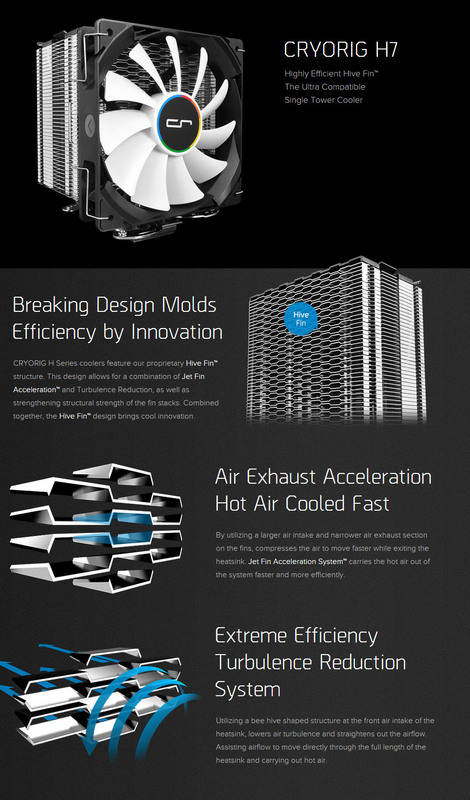 It will fit in almost all mid-tower PC cases, delivering much needed tower grade cooling performance in tight spaces. 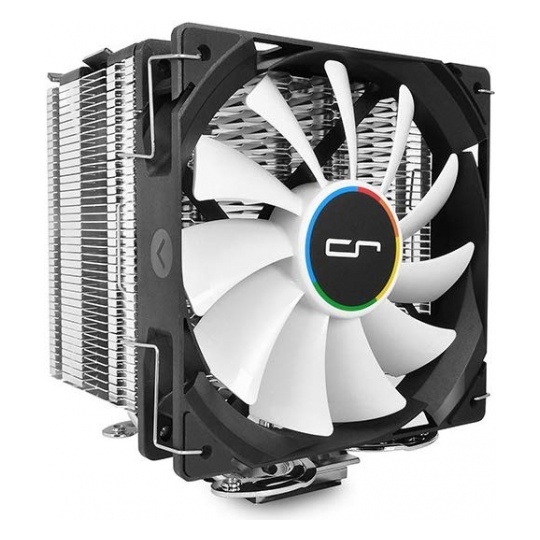 It's equipped with a 120mm high airflow QF120 PWM fan which pushes up to 49 CFM while producing up to 25 dBA. Compatible with Intel socket 115x and AMD sockets FM1, FM2/+, AM2/+, AM3/+, AM4.